More than you ever wanted or cared to know about hand sewing needles. According to archaeological finds the needle in various shapes and sizes has been around since the early Stone Age. Needles made from bone, ivory, agava leaf fibers , wood, porcupine quills etc were then used to sew together animal skins, furs and other organics. The Romans developed the sewing tools further, including finer needles made from metals and thimbles. By the middle ages an onward needles were treasured, looked upon as valuable and kept in safe places. 10 steps of how needles are made today! As a final step the needles get a special coating of either nickel, platinum or etc. The manufacturing of the modern sewing needle is the same whether it's the regular craft caliber needle or the more expensive name brands. They're all made from some type of carbon steel or titanium alloy wire with the main differences coming from the temperatures the metal is hardened and tempered with and whether they get to be nickel or gold plated for corrosion resistance. The job however, of this long, slender, non-complex, simple to use gadget or tool has not changed since it's invention at the beginning of time. Even the most expensive of needles, the one that is made of two-thirds platinum and one-thirds titanium alloy still has the same function: 'The pointed tip pierces the fabric and the eye or thread hole at the opposite end carries the thread, cord, floss etc through the fabric'. Today's 'Hand Sewing Needles' come with different names depending on what their purpose is and in a range of different sizes. There is a world wide standard for needle sizing. As far as I'm concerned it was devised by a 'backwards Joe'. Just to confuse matters... the length and thickness of a needle increases as the size number decreases. With other words, the smaller the size number on the needle packet the larger the needle... and vice versa - the higher the size number the finer the hand-sewing needles...For example a size 1 needle will be a heavier, thicker and longer needle , whereas a size 10 needle will be finer, thinner and shorter. If you've read any of my hubs before you will by now know my favorite saying "...each job has the right tool..." I know, I know it's not as if a hand sewing needle is such a high-tech gadget that you can not make do with one that work similarly BUT using the right one usually makes the job easier... and on that note I assure you that adapting the right size of needle really will make for a better, more accurate and longer lasting job. For example: if you keep consistently squishing a thicker thread into the eye of the needle that is too small not only will it be frustrating every time you need to re-thread but forcing and pulling the tail section of thread through the eye will wear and get damaged before the project can even get finished. On the other hand using a needle that is too thick and has a huge eye will not just pierce great big holes into the fabric that is being sewn but by slipping and sliding inside the too large eye will also cause the thread to wear and fray which then will leave it weaker. ~Not a shocking revelation, I would say, 'Needles DO Wear Out'. Obviously, the life span of the needle depends on it's starting quality. The more expensive platinum plated needle will last longer than the ones from a dollar store available in a packet of fifty. ~Needles can also have the smallest, minute, impossible to see with the bare eye burs inside the eye opening which then will shear, damage and break the thread, floss or ribbon. (again this will happen more often with the cheap needles where quality control can be more lacks). The arm of the chair or couch will not keep the needles safe for long, when not in use stab them into a chunk of wool felt, use a magnetized needle holder, a needle book, a needle tube, a needle case or use the obvious... a pincushion. A quick word on pincushions... the old fashioned ones were filled with sawdust. Today's cheap-os can have anything in them... fillings that can scratch and damage your needles and pins. 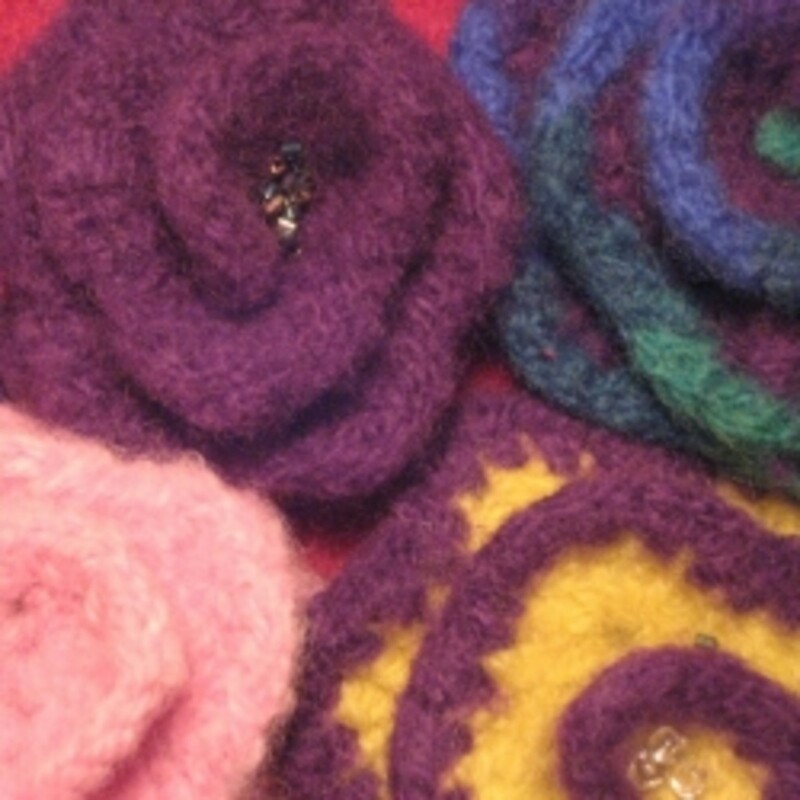 A great way to make your own which will also clean your needles and keep them dry is to make a little pouch of a wool felt, fill it up with a mixture of 6 parts talcum powder, 1 part baking soda and 1 part Comet or Ajax, sew up the end tightly, presto bingo you have a great pincushion. It will keep your needles and pins safe, dry, clean and polished all at the same time. ~I keep a special pincushion (filled with that mixture) that is strictly for the assortment of 'in-use' hand sewing needles. Mine has a nine division tic tac toe grid embroidered on it (my granddaughter made for me) which made it easy to adapt for the different styles of needles that I have on the go. If your needle gets stuck inside your project and you can't "un-stuck" it use a rubber puller (the rubber finger tips that are used for counting money-money-money and are available at the stationary store) come in handy. On the other hand yanking with saw-thoothed-needle-nosed-pliers will scrape the needle which then will snag the thread and fabric and eventually break. ~When choosing a needle preference for length, thickness, shape and pliability all go hand in hand with the type of fabric you will be working on. For example: The lighter fabric, the thinner the needle should be. 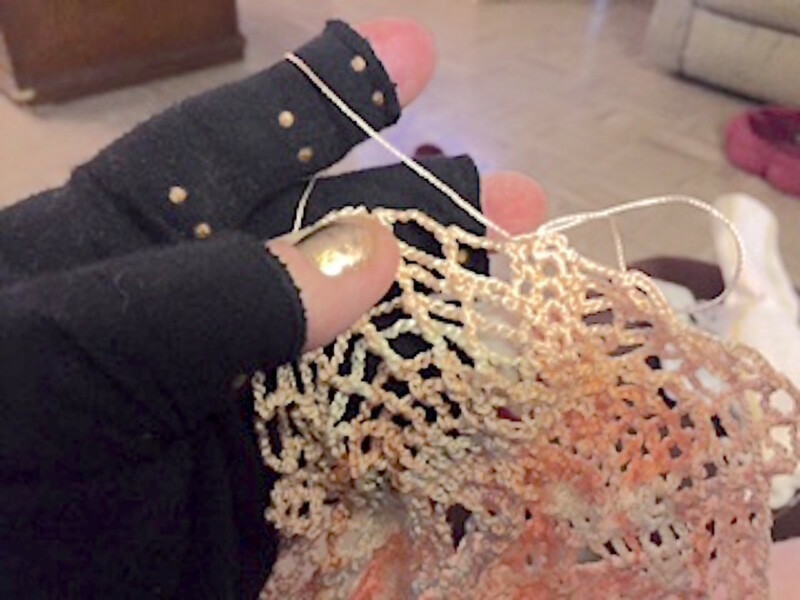 To check which leaves the smallest hole and which one slips through most easily pass different-sized needles through the fabric at an inconspicuous place (a great spot is usually within the seams or at the very edge of the project. ~ Again, using the right tool helps to get a project done easier. The right needle choice will give better accuracy and ease whether its for simply hemming a pair of pants, embroidering a complex design or for stitching an appliqué etc. All can be accomplished much easier with the right type and sized needle. Yes, you could use a darning needle to hem that new silk skirt but you will damage the silk fibers and leave humongous holes in it if the needle is not the right size. Sharps are a basic multi purpose needle, of medium length, sizes ranging from 1 to 10 with a sharp point, a small rounded eye just large enough to accommodate thread and most commonly used for hand sewing. Remember Size 1 is the longest and thickest, and size 10 is smallest and thinnest. The spiral Eye or side threading needles come in a variety of sizes and types, but mainly used for general sewing project in sizes 1-10. The precision cut into the side of the eye allows for most material to slide over the opening without snagging. Perfect for the sewer with low vision or dexterity issues. Ball point needles have a rounded tip, so they're perfect for sewing knit fabrics. A sharp pointed needle can easily damage the knit fiber by poking though a thread and leaving a 'pull' in the the knit fabric. 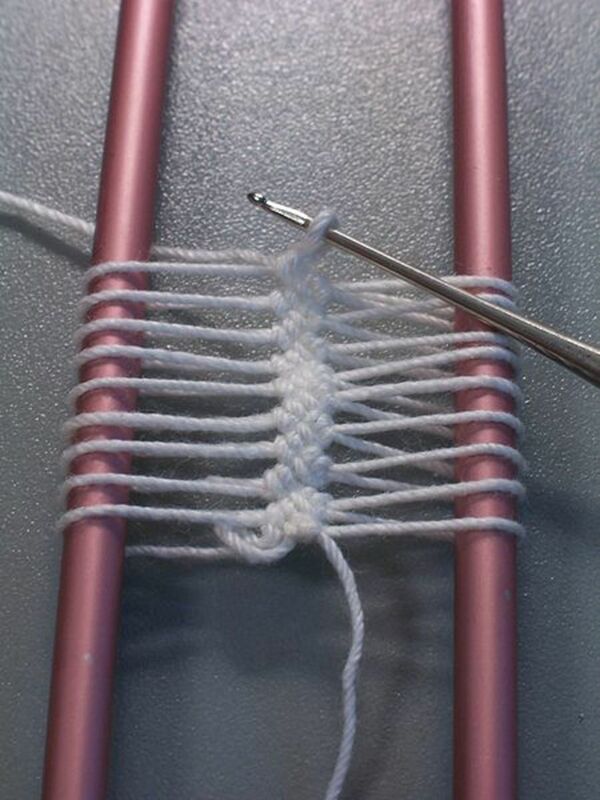 A ball point, on the other hand, will pass right through the knitted stitches. Ball points also come in sizes 5 through 10. 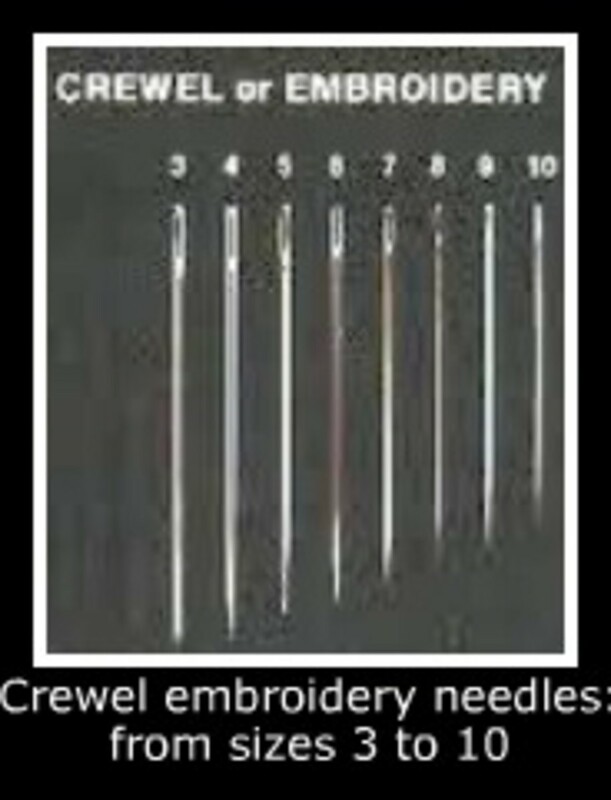 Embroideryalso known as Crewel needles are very similar to the sharps as they have sharp points however their main difference being in the eye. They have large oval eyes to make threading multiple embroidery flosses or thicker yarns easier to pass through. The sizes for the embroidery or crewel needles range most commonly from 3 through 10 in short and medium lengths. Darning needles are long, large-eyed needles used for darning, basting and embroidery. They have long oval eyes and blunt tips similar to tapestry needles and come in a variety of lengths and sizes used . 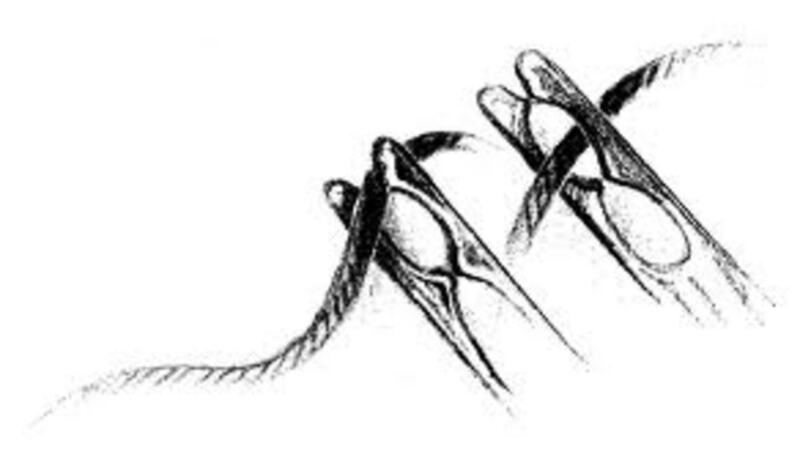 To confuse things Darning Needles traditionally have different 'uses' and for each of these uses they have different sizings --- Cotton Darners for fine cotton in sizes 1 - 9 (1-5 being the most common) Yarn Darners for wool work being the heaviest with very large eyes to thread yarn come in sizes 14 - 19. Tapestry Tapestry Needles are used for embroidery. They are thicker than most needles and have large oval eyes and a blunt tips. These blunt tips allow the needle to carry yarn floss and ribbon between warp and weft of the fabric without piercing the threads. 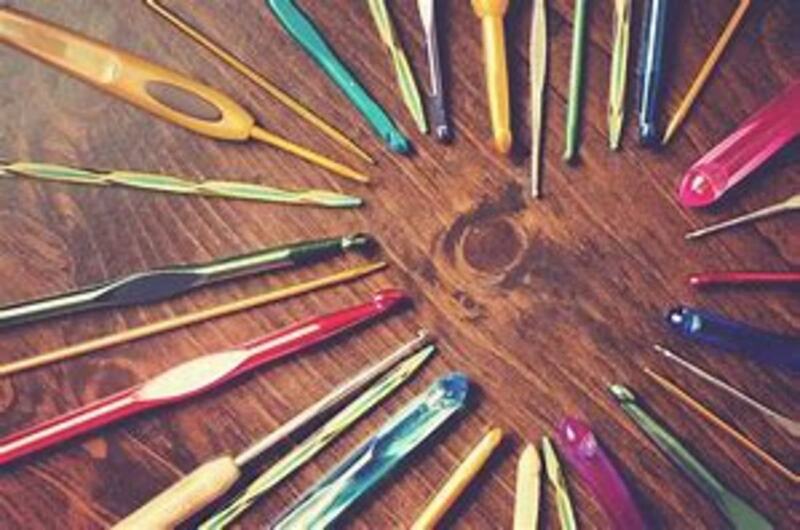 Tapestry needles are used for needlepoint, silk ribbon embroidery and more on canvas, even-weave material and other loosely woven fabrics. the sizes range from 12 to 28. Although less known or common, also available are Double ended tapestry needles, with the eye in the middle. Used by embroiderers who work with fabric mounted in frames. Sizes from 13 to 26... again 13 being the heaviest and 26 the finest. The Chenille Needle is similar to the tapestry needle as it has the same long oval eye and comes in the same sizes (thickness) except it has a sharp point. Sizes are from 12 through 28. Chenille needles are ideal for ribbon embroidery and other crafts that need to pull a thick strand through a closely woven fabric. Trapunto Needles are used for sculptured quilting and more. These blunt, thick and 6 inches long needles open the fabric warp and weft threads to allow stuffing between the layers for traditional trapunto. The shaft of the trapunto needle is thicker than a regular doll needle and amazing stuffing tool for doll-making. The Milliner's Needle also known as milliner straw needle has a sharp point, round eye, an even shaft and is a bit longer than the average needle (about 1 5/8 inches long). It is the longest hand sewing needle, traditionally used for hat making but is also great for hand basting available in sizes 1 through 10. The Doll Makers Needle comes with either a sharp point or a blunt tip and is available from short to extra-ordinairly long. Size 2.5"/6.5cm - 7"/18cm long. Doll needles are used for the soft sculpturing of dolls, particularly facial details. Beading needles are very fine, with a narrow eye to enable it to fit through the center of beads and sequins. 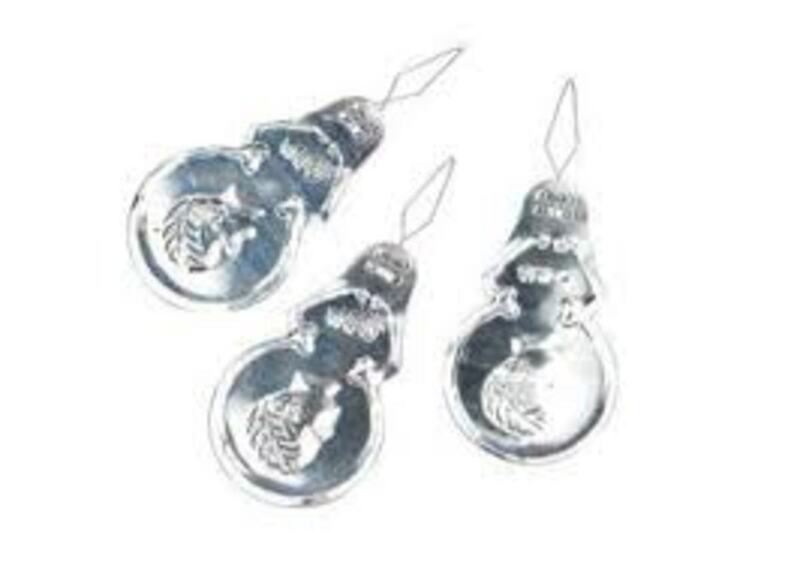 They are usually long so that a number of beads can be threaded through at the same time. The Sizes most commonly available are 10 -15. On rare occasions an elusive size 16 (quite thin) can be found. The Leather also known as the Glover's Needle is a heavy needle that has a sharp triangular point or wedge tip used for piercing and sewing (without tearing), leather, suede, man-made suedes, canvas and other stiff materials. The sail maker, cobbler, saddler and harness maker all uses the wedge-tipped needle available in a variety of lengths/shapes and sizes most commonly 1 through 5. Sailmaker needles are similar to leather needles, but the triangular point extends almost halfway up the shaft of the needle. Used for sewing thick canvas, heavy leather and carpets. 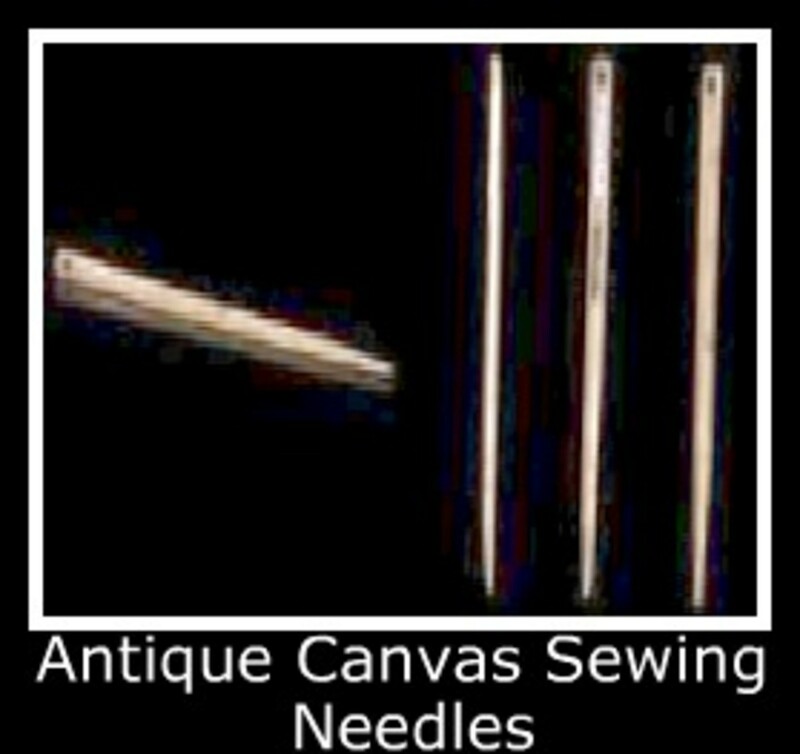 An Upholstery Needle is a heavy, long needles that can be straight or curved. The size ranges from the straight needle of 3"/7.5 cm to 12"/30cm long and the curved needle from 1.5" 3.75cm to 6"/15cm long in a wide variety of weights. The straight upholstery needle is used to sew heavy fabrics, upholstery work, tufting and for tying quilts. The curved needle is used for difficult situations where a straight needle is awkward or not practical to use again on heavy fabrics such as canvas, upholstery fabric, denim etc. The heavy duty 12" needle is also used for repairing mattresses. The modern Tatting needle is long and the same thickness for it's entire length, including the eye. 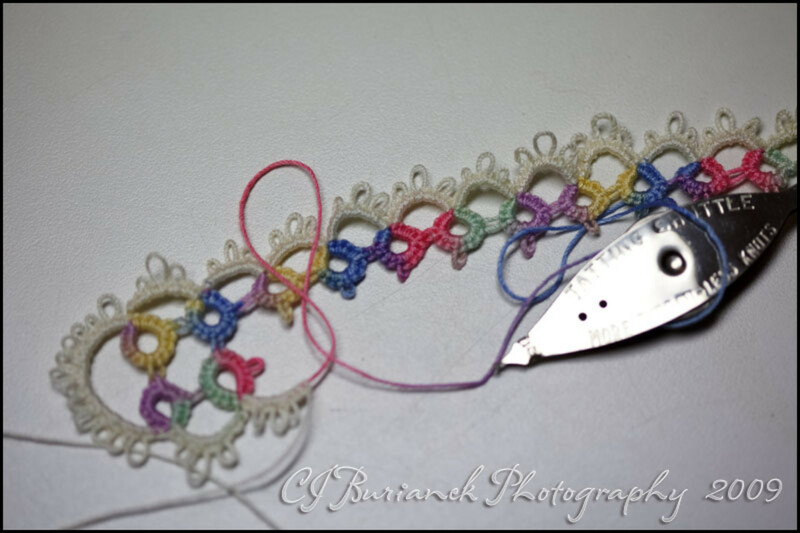 This is to enable the thread to be pulled through the double stitches used in tatting. Tent Repair: How to fix a tear/rip in a tent! 10 Easy Steps To Custom Fit The Waist Of Pants! 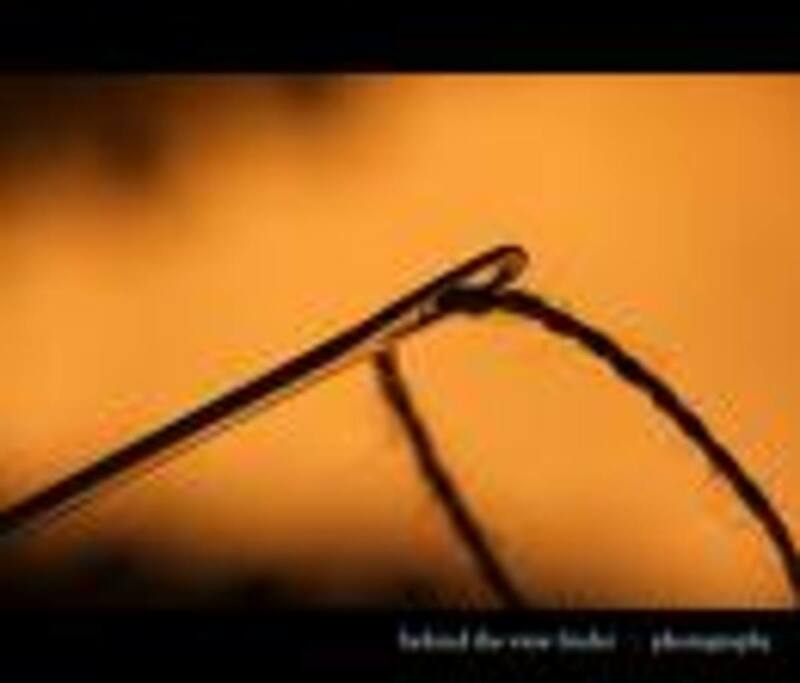 Bodkin is a long blunt lacing tool or thick needle with a ballpoint end and a large, elongated eye. They can be flat or round and are generally used for threading elastic, ribbon, cord or tape through casings and lace openings. Sewing Kit--- Have to have-s! Sew Those Seams---Easy How to Sew Tutorials! Hand Embroidery! Hobby, Passion or Obsession??? Is there A superior hand quilting needle? For some reason I bend the smallest needles I want to use so have to resort to 10's. I found tulip at the quilt store and tried them but I can't find any info on THE BEST needles. I saw a video on you tube and he was sewing with a hand needle that had a wing at one end and a hole for threading at the top. Do you know the name of the needle? Me, thank you for reading. To answer your question I just went and looked at my sewing needle collection they all seem to be the clover name brand and are all part titanium... they come 5 needles in a packet. Here in Canada I'm able to buy them at my local fabric store. Then I have a couple of quilters 'betweens that are a cross of white gold and titanium blend but those just come as one needle in a plastic little box. Those I bought at the Tailor suppliers in Toronto just before I retired about 6 years ago. That's about all I can tell you. Every website mentions titanium (hand) needles, but no one mentions where to buy them. I have spent two days searching online, and machine needles are all I can find in titanium. Sharon, if you look at the top of this page on the right side under my picture there is a link that saya 'Contact Zsuzsy Bee' send me an email through hubpages. Hiya Sharon, it would help if you would download pics of the needles. It would make it easier to identify them. Zsuzsy Bee, I have my grand mother's sewing needles here but I have no idea what she may have used them for. I'd love to down load a pic but shall try and explain them here. Each resembles a thin wire 1 mm thick angle cut one end and looped 2x with the circular hole (eye) being 1 cm wide. Length is just over 4 cm. The other is double thickness 7cm long double loop(eye) about 1 1/2 cm wide but the end continues past the loop to create a small hook. Help-- Found these 16 inch long needles in a wooden case with eyes on both ends and have no idea what they would be used for. There is a name of John Thorton and also a name of Redditon on some of them. Any idea what these were used for? Thank you. Thank you for taking a look and for commenting. Glad you found the information useful. This is a big amount of information on a topic I've needed to know about. I'm sharing it on my Facebook page for the many sewers and crafters there. Angela, thanks for taking a look and for commenting. Thanks for the useful tips and historical background. I especially like the instructions for the pincushion. Have a great day! kschimmel, glad you came by, thank you for taking a look and for commenting. Very good point about buying good needles. Thanks for pointing out that needles wear out. 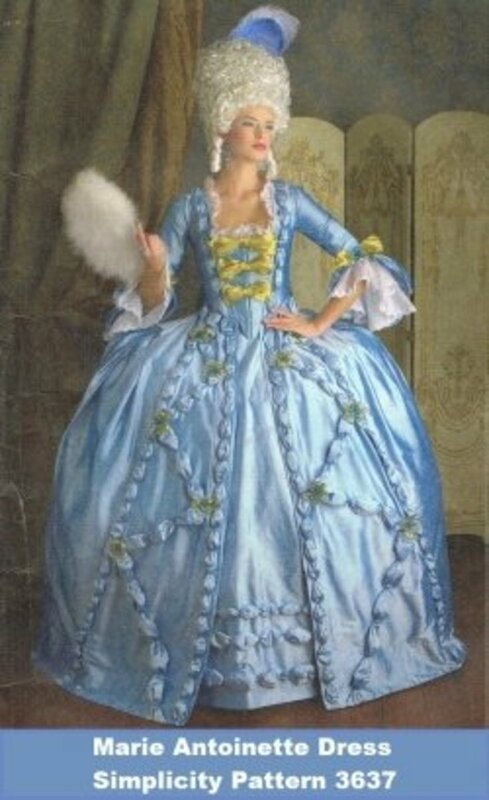 As a professional seamstress, I wore out plenty of hand sewing needles--especially on heavily structures bridal gowns. I had an arsenal of needles--tiny for beadwork, huge for bustles. Also a warning against dollar store needles--sometimes those things aren't even sharp! Pay a few extra dollars for the brand name needles. I know a lot about sewing but certainly not all this. Very good. I have an old, old needle, 2 5/8" long, and it has two eyes on the end. Very blunt end. Can anyone help be out with what kind it is? Very appreciative. Szervusz Zita, thank you for reading the hub and for the lovely comment. Contact me by the hubpages link (in the space under my avatar) and then we can talk more. You can practice your English and I can practice my Hungarian. Since my Mom died I don't have too many people to talk/write to in Hungarian anymore. Katiem, always glad when you drop in for a visit. If the hub is helping even a little bit then it sure was worth writing it. SupportMed always glad when you drop in for a visit. Thank goodness we have your hubs to help the young learn how to sew, and mend. They just may spark someone to learn to be a pro. I believe you are a great teacher. Voted and rated. LensMan999, thanks for reading and for commenting. mr zsuzsy first I want to tell you if I didn’t read your hub throughout my lifetime I can't able to get knowledge on varieties of sewing needles and its caring even so thanks a lot. Lauretta123, thanks for reading and for commenting. 4youreyes, yes the needle is a tool, one of the oldest in the world. Thanks for reading and for commenting. 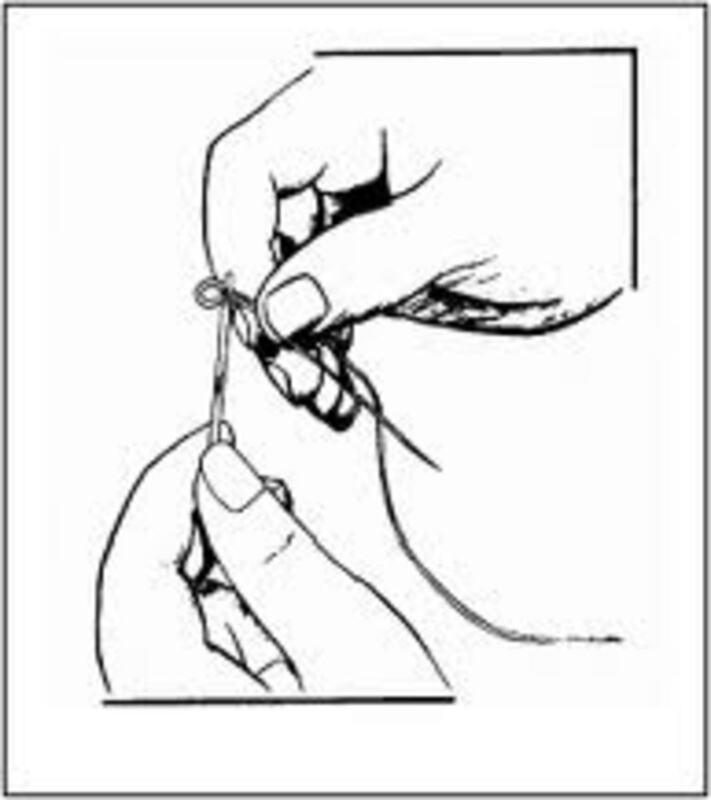 Thanks for the very informative hub I've been sewing and crafting for years and never took the time to learn all I should know about about a needle after reading your hub a needle is no longer just a needle it is a tool. omdelhi, how are you? Thank you for reading and for commenting. Wild Iris, I like using chenilles for silk embroidery. They feel just right in my hand. Try them, they might work just right for you too. quuenieproac, glad you came for a visit. Having been a tailor for most of my working life I found that using good needles makes stitching a heck of a lot easier. Great research and brilliantly written. Thank you for your information. I'd never thought to use a chenille needle for ribbon embroidery. Great information! 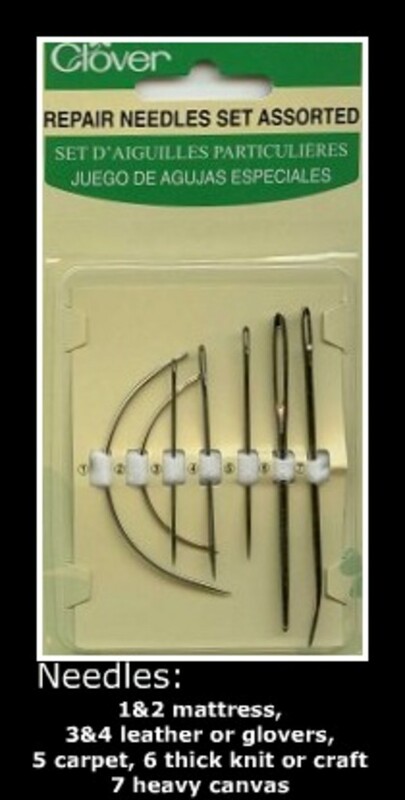 Milliner needles sound like a good thing to stash away in the sewing kit too. What a thorough, useful hub! My mom was always a great sewer. It's a craft that I've never really picked up. But hubs like this one are most inspiring! What a comprehensive discussion on needles! Congrats on a great hub and thanks for sharing the information. Hiya Susan, I have an enormous stash of every type and style of needle available. I could probably lose a new needle every day for the next ten years before I need to buy any more... the silly thing is that I mainly use the 'betweens' for just about all the hand sewing. Wow, who would have thought? To me, a needle is meant to be used to remove splinters or to sew on a button. The size thing is incredible....and similar to electrical wire. A 4 is much larger and heavier than a 12. There is a complicated formula for determining gauge. When you look at the formula, it makes you feel like you are sitting in the back of the advanced math class with a dunce cap on. The formula actually is used to determine the resistance in a wire and how much current it can carry. The formula makes the sizes completely standard: a gauge of 10 is always the same. So lower gauge sizes have lower resistance. The least resistance is found at 0 gauge and is the biggest wire. Other industries adopted this system and now it is used in all areas like needle making, jewelry gauges, etc. The formula is like Greek, but the result is standard sizes that you can depend on. Blessings to you Zsuzsy Bee!! I've never been that good at sewing although a hem or button replacement has always been simple enough! What shocks me is how our younger generation has no idea how to thread a needle or for what it is used! Blessings to you and yours this Holiday Season! Wow I didn’t realize how many needles were out there until I read your hub. I bought the self-threading needles not too long ago but have not had a chance to use them yet. Great Hub! Hiya Alex, how are you? Always glad when you drop by for a visit. Thank you for commenting. Wow! This was a great overview of all the needles and their proper care. I have used the same pin cushion for 30 years at least. I learned a few new things in this hub, so thank you. Fascinating the variety of needles. Very interesting.